John Evenden is a SAG-AFTRA Stunt Man. He is also a Fight Director certified by the Society of American Fight Directors. 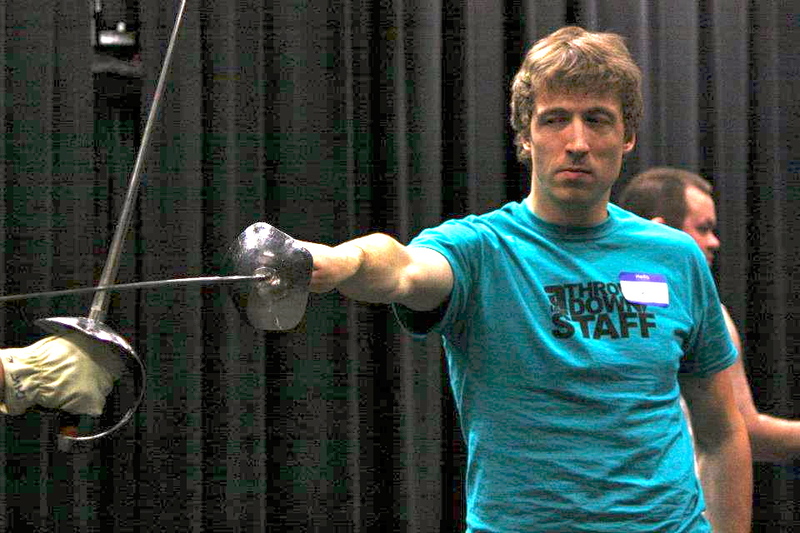 John has studied Stunts, Swordplay, Stage Combat and Martial Arts his whole life. He has training in High Falls, Air Ram, Wire Work, Armed and Unarmed Combat and Firearms. His credits range from monsters to serial killers to your average guy falling down a flight of stairs. He has directed fights for Tony-Award Winning theatres, and your local everyday four-man shows. He has taught three year olds Karate and 60 year olds stage combat. He’s an expert in Shakespearean fights. He believes in hard work, preparation, dedication, and pretty much just being a badass.